Initiatives in the field of Digital Map Libraries have greatly increased, uncovering old maps stored in the cartographic collections of libraries and archives, keeping the geographic component as a common link. A new type of work comes up based on the use of new analysis tools, involving processes carried out through distributed systems, via the Virtual Map Rooms in the Spatial Data Infrastructure framework. Therefore, some specific Intellectual Property Rights challenges in specific deployment scenarios might be considered. Concerning the technology incorporated in these services, free access components or open source technology are seemingly not of any specific IPR relevance. A library has an almost automatic right to publish online the contents which are its property. But when it concerns the reuse of metadata or images from an external entity, that library must consider the related IPR issues, and eventually depending on the specific services that will be used. 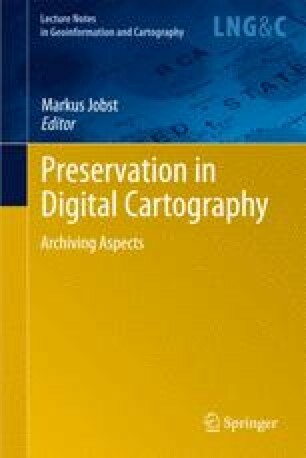 This paper aims to introduce some prospective legal and licensing aspects, described as an added value to succeed in web publishing of cartographic heritage and to assure its sustainability, following the last advances developed in the geo-spatial field, but emphasizing specific IPR aspects of our historical digitized images and metadata. We would like to express our gratitude to the CartoVIRTUAL initiative (Ref. CSO2008-03248/GEOG) from the R&D Programme 2008-2011 of the Ministry of Science and Innovation of Spain.